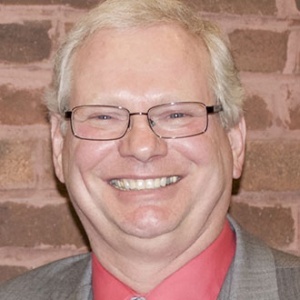 DETROIT, MI – Catholic Charities of Southeast Michigan (CCSEM) has chosen its Chief Operating Officer, Dave Bartek, to take the helm of the human services agency as Chief Executive Officer. CCSEM Board Chairman Rev. Msgr. Charles Kosanke, Pastor of Ste. Anne de Detroit and Most Holy Trinity parishes in Detroit, made the announcement on August 30, 2017. Bartek replaces CCSEM’s first CEO Jason Shanks who accepted a new position as president of the Our Sunday Visitor Institute based in Huntington, Indiana. Bartek was chosen from among 44 applicants in a national search. He joined CCSEM in early 2016 as Director of Immigration and Refugee Resettlement Programs, which at the time was experiencing a significant increase in clients. Shanks added to Bartek’s responsibilities the management of the agency’s All Saints Soup Kitchen and Food Pantry in southwest Detroit, and then appointed him to the position of COO. Prior to joining CCSEM, Bartek served in leadership roles at United Way for Southeastern Michigan. He and his wife are residents of Livonia, Michigan. They have three adult children and a son-in-law and are registered parishioners at St. Kenneth Parish in Plymouth.